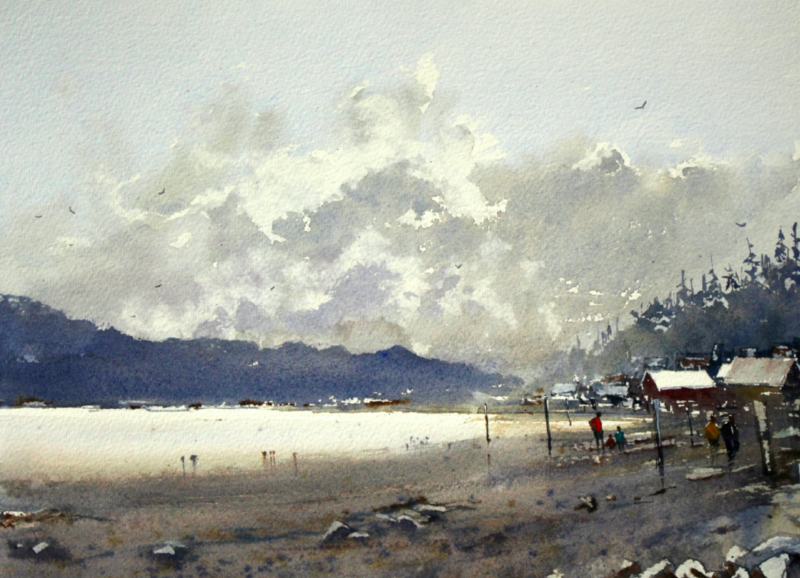 Sandhu Singh is an award-winning watercolor artist living in Victoria, BC, Canada. Sandhu grew up in India and moved to Canada in his early 20’s. After settling in Victoria he worked at a variety of jobs. As a cook he found that he had a flare for putting together flavors and textures. Later on he also enjoyed creating through gardening and photography – capturing life from many different angles. While working and pursuing these hobbies, he also became a registered nurse. In 2005 he took his first art class and was surprised how much he enjoyed watercolours. What started as a hobby has developed into a passion.